Creating a comprehensive brand identity for the Secretariat is a project unlike most others we’ve done. 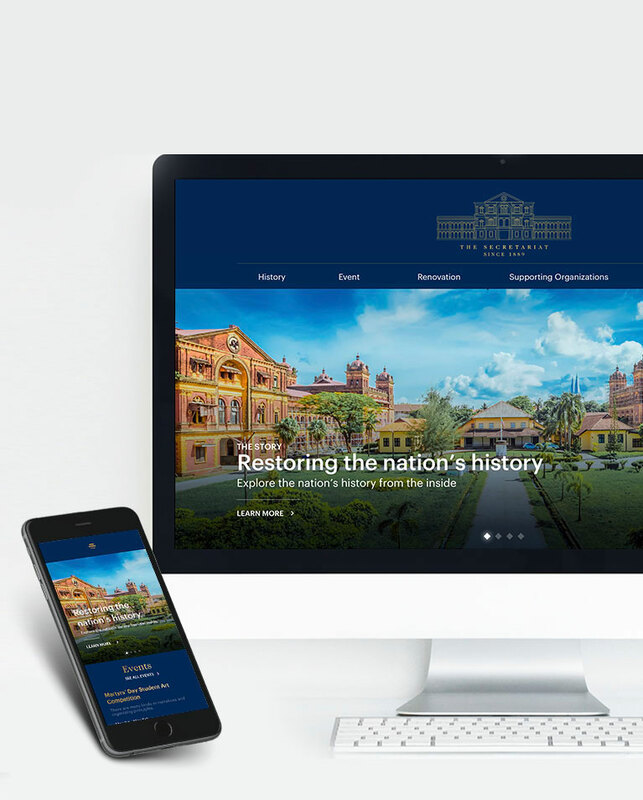 We not only needed to create the website and design the logo (yes, we did both), but more importantly we were building a cohesive digital identity for an iconic landmark, which we knew would become many people’s first impressions of not just the Secretariat itself, but of the city and the country it resides. The brand identity centers around the structural outline of the colonial-era building. By simplifying the architectural design and using that as the brand logo, we are able to extract the heart of this brand that is identifiable among Rangoonists, as well as people around the world who take an interest in Myanmar. While designing the website, we knew we wanted to go beyond telling history lessons. Instead, we want to bring visitors on a virtual tour of the popular travel destination. We landed on colors blue and gold to convey the building’s grandeur and historical significance. 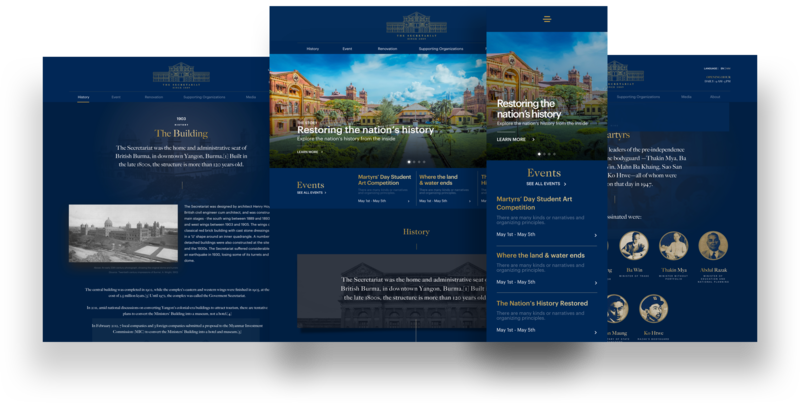 The site’s easy-to-navigate layout and flexibility to cover in-depth information makes it possible for the public to learn more about the landmark and about Myanmar.